JOYCE Fox had one request of her husband of 38 years in the period before dementia rendered her mute and claimed her life on June 29, 2014. She just wanted to know Kevin Fox would look after her daughters Gail and Karen – Kevin’s step-daughters – if she died before him. Kevin promised that he would. In April, 2011 he signed a will leaving his estate, eventually worth $4 million, to them, after Joyce accepted his assurances and rejected legal advice to secure assets for her daughters in her will. What happened next is playing out in the NSW Supreme Court before Justice Michael Slattery. The court heard how Kevin drew up a number of further wills after 2011, including one less than two weeks before Joyce’s death that wiped Gail and Karen as beneficiaries, and another in June, 2015 that left his business partner Leonard Timmins with half the estate after Mr Fox died on May 19, 2016. The remainder was distributed to charities in $400,000 chunks. Justice Slattery in July found Mr Timmins, appointed executor to Mr Fox’s estate, had a case to answer after Gail Hutchinson and Karen Bermingham alleged he engaged in “fraud and misleading and deceptive conduct”. It is an allegation that Mr Timmins “clearly denies”, the judge said. Lawyers drew up Mr Fox’s April, 2011 will leaving his entire estate to Gail and Karen, but then drew up further wills for Mr Fox in June, 2014 and June, 2015 that dropped the two women. Mrs Hutchinson and Mrs Bermingham “allege that their stepfather procured the release of their rights by misleading and deceptive and unconscionable conduct and non-disclosure of material facts”, Justice Slattery noted. A 2015 settlement deed that left them with $230,000 was “an instrument drafted to formalise an agreement that had been constructed on a background of deceit and misrepresentation”, the women alleged. They were not informed of the true nature of Joyce’s estate or Kevin’s assets and “were not aware that Kevin had reneged on his promise to Joyce one week prior to her death, at a time when Joyce did not have capacity to change her will”, they said. Testamentary capacity is the ability of a testator (or will-maker) to make a valid will. If a will appears to be valid and has been properly executed (signed by the testator and two witnesses), a testator is presumed to have testamentary capacity. To challenge that presumption, a party must put forward evidence which raises suspicion that the testator did not have capacity. If that suspicion is raised, the onus reverts to the party trying to prove the will, that is, they must prove the testator had the required capacity. An Accredited Specialist in Succession Law (wills and estates), Bryan Mitchell says that experts in this area of the law have the training and expertise to pick up on signs on cognitive decline. They can also detect signs of elder abuse from family members or others. Experts will take very detailed notes of their meetings with clients whom they suspect might be experiencing cognitive decline, because it’s often when that person has lost their mental capacity that an estate battle erupts. 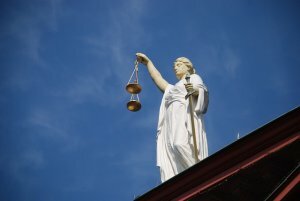 Those detailed notes, says Bryan, will help guide the court in making a fair decision and removing any presence of exploitation or abuse. Cognitive decline will continue to have implications for estate planning as Australia’s population ages. Dementia is the second leading cause of death after coronary heart disease. It is the single greatest cause of disability in Australians over the age of 65 years, and the third leading cause of disability burden overall. By 2025 in Australia it is estimated that there will be about 536,164 people with dementia, with that figure rising dramatically by 2056 to about 1,100,890 sufferers. There may also be some changes in personality or they may not be able to control themselves like they once could. Usually the disease occurs in those who are aged 65 or over. Around 1 in 4 people aged 85 and over are living with dementia, of which Alzheimer’s is the most common form. Cognitive decline is one of the biggest risk factors for elder abuse, particularly financial abuse. This group of people are more at risk than others because of their decreased cognitive ability. Putting checks in place to make sure there is nothing suspicious happening with their living situation or their day to day use of money will help to ensure that they are protected from predators. The sad reality is that it is often family members who are the perpetrators of elder financial abuse. 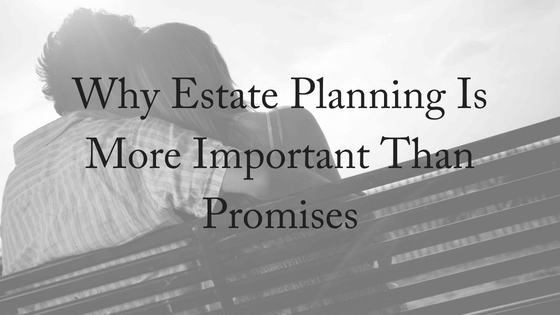 If you need assistance with estate planning or elder financial abuse, please contact us today. We offer a FREE, 10-minute phone consultation.